Stony Brook Football linebacker Shayne Lawless, who completed his senior season in 2018, has received offers to complete private workouts with the New York Giants, New York Jets and Philadelphia Eagles, according to an Instagram post made by his agent Jumaane Ford. Ford, a Stony Brook alumnus, is a member of AG Sports and began representing Lawless in January. Lawless was one of the top linebackers at the FCS level in 2018. He was named First-Team All-Conference in the Colonial Athletic Association, as well as a member of the FCS ADA Academic All-Star Team. He led the team with 13.5 tackles for loss and scored a notable defensive touchdown when he returned a fumble 54 yards in the 35-7 routing over New Hampshire on Saturday, Oct. 13, 2018 New Hampshire. Lawless was also named CAA Defensive Player of the Week on September 17, 2018 after recording five tackles, two tackles for loss, an interception, a pass breakup and a quarterback hurry in the win against Fordham. The Moorestown, New Jersey native redshirted his freshman year in 2014 and played in all 10 games of his 2015 debut season. 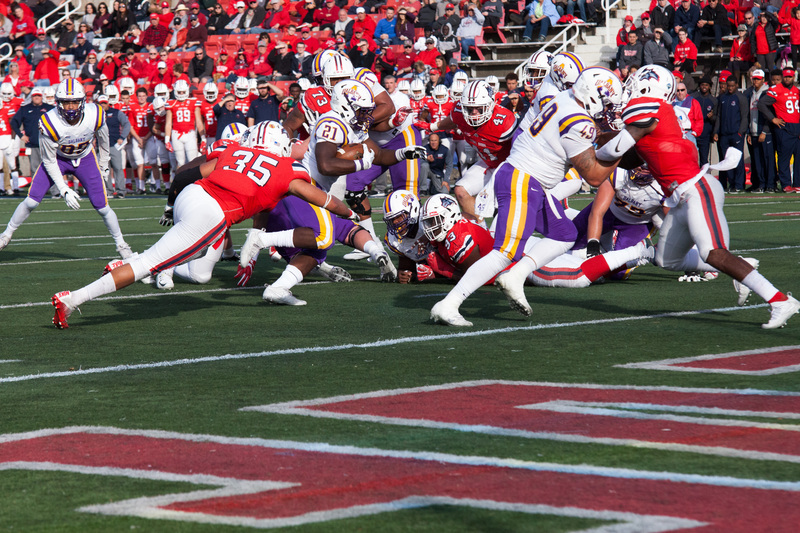 As a sophomore, Lawless was named to the Second-Team All-Conference and played a large role with eight tackles in Stony Brook’s 42–14 upset victory against the Kyle Lauletta-led No. 2 Richmond Spiders. Lawless recorded 93 tackles in his junior year, 13 for loss and eight sacks en route to another Second-Team All-Conference mention. He worked in tandem with fellow linebacker Noah McGinty and the two ended their collegiate careers by starting 35 consecutive games alongside each other. Lawless was named one of five team captains entering his senior season in 2018. The linebacker’s significant impact on the Seawolves’ defense was clearly felt during his Stony Brook tenure, and he ended his college career among the top of the leaderboards. Lawless’ 288 tackles and 40 tackles for loss rank fourth in school history, while his 13.5 career sacks are the 10th-most. No Stony Brook player has ever been selected in the NFL Draft, but Lawless hopes to make history as he prepares to boost his stock for prospective teams.